According to Cushman & Wakefield, Advanced Specialty Care has completed a 6,735 s/f office lease at 488 Main Ave. This new location adds to Advanced Specialty Care's existing locations in Danbury, New Milford, Ridgefield, and Southbury. Advanced Specialty Care is a large multi-specialty practice in Fairfield County that provides ENT, allergy, plastic and cosmetic surgery, hand surgery and dermatology physician services. Cushman & Wakefield's leasing team, led by Steve Baker, senior director, Adam Klimek, director and Bill Montague, associate director, represented the landlord, Edgewood Capital. The tenant was represented by Cushman & Wakefield's healthcare practice specialists, Sean McDonnell, senior director and Kathleen Fazio, director. 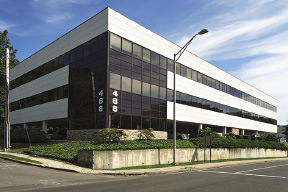 488 Main Ave. is a 36,000 s/f office building located just off the Super 7 Connector. Situated in the area's Rte. 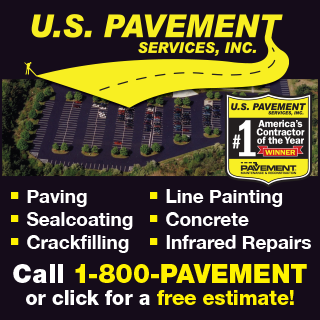 7 commercial district, the facility boasts easy access to both the Merritt Parkway and I-95. The building features a high-tech infrastructure with fiber capabilities and is within walking distance of numerous restaurants and retail outlets. Edgewood Capital's capital improvement program was recently completed and includes modernized lobbies, bathrooms, elevators and common areas, as well as updated and enhanced landscaping. With a 4/1,000-rentable-square-foot parking ratio, 488 Main Ave. is an ideal alternative for a wide range of office uses. "Edgewood Capital has made its mark as a stable, responsive and hands-on landlord," said Klimek. "They've created an estimable boutique office building that still offers the most competitive rents on the Rte. 7/Merritt Parkway corridor. When combined with the building's location and high parking ratio, 488 Main Ave. is the value alternative in the class-A office market in this area." Jonathan Breen, director at Edgewood Capital Advisors, said, "We are very pleased to welcome Advanced Specialty Care to 488 Main Ave. The addition of this preeminent multi-specialty medical practice rounds out our diversified tenant mix of professional service firms and enhances the prestige of our building. We are also very excited that our extensive renovation program is now complete, thanks to the excellent work of Merritt Construction. We've received tremendous feedback from our tenants on these improvements. Our partnership with Cushman & Wakefield brokerage team has been equally productive, as this is the second major tenant that we've signed since we began working with the firm within the last 12 months." "This is the ideal location for Advanced Specialty Care's expansion," said Richard Lipton, MD, and CEO of the practice. "The parking ratio, combined with the buildings access to major highways and public transportation, will make it extremely convenient for our patients to access the full scope of medical care that our practice provides."